STEPHANIE Bello of Passaic, NJ has seen enough. She has seen too many bright classmates at the Passaic High School who were not able to go to college. 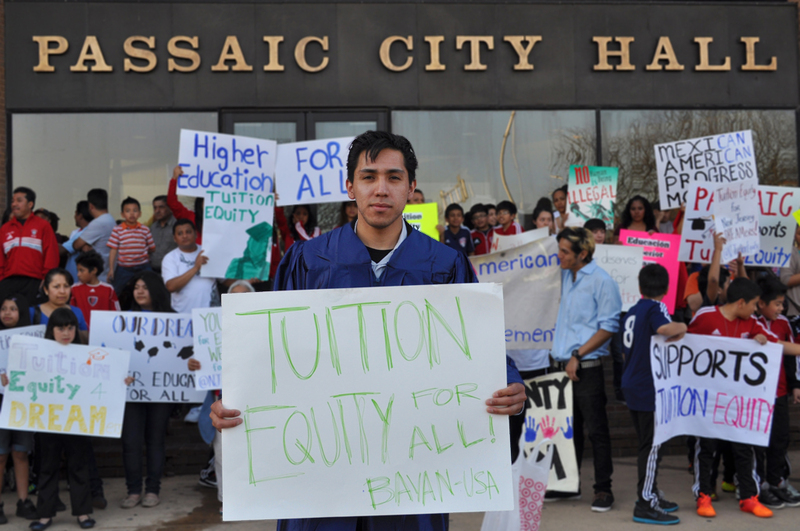 So on Tuesday, April 9, Bello and several other student leaders led a group of fellow students, community residents, advocates and even children in a rally in front of the Passaic City Hall to support a resolution endorsing two state bills providing in-state tuition and financial aid to undocumented New Jersey youth. Less than an hour after the rally, the City Council passed unanimously the resolution co-sponsored by City Council President Gary Schaer urging the New Jersey state legislature to pass A1659/S2355 and A3509/S2479. 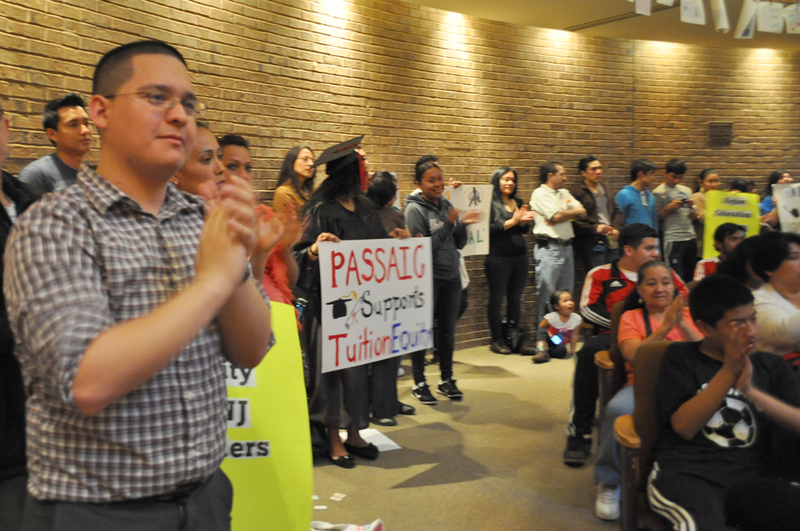 With the endorsement, the City of Passaic became the third local government in New Jersey to endorse the Tuition Equity bills. The Jersey City municipal council endorsed the bills on Feb. 27, while Plainfield passed its own resolution just the night before Passaic City’s endorsement. The jam-packed crowd inside the session hall erupted in applause as soon as the Schaer announced that the City Council has officially approved the resolution. 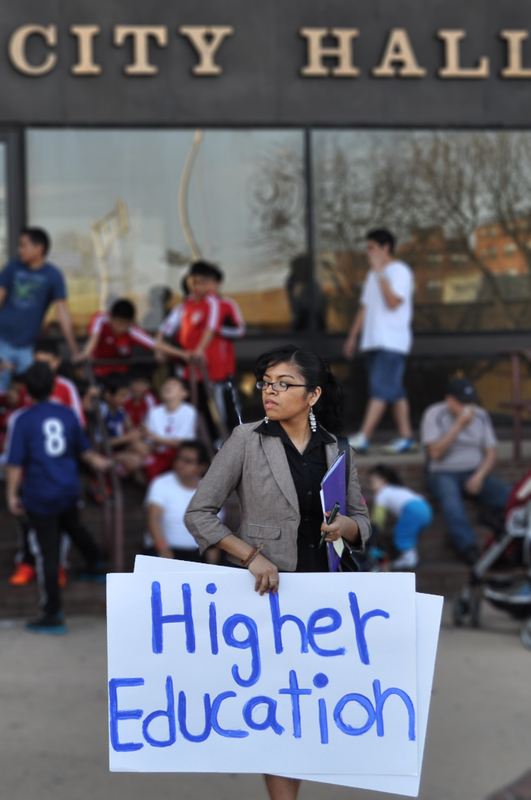 “Education is a right, not a privilege,” Bello, the administrative secretary of the Mexican American Progress Movement, said. “Without in-state tuition available for everyone, we are in effect making it almost impossible for a specific demographic to obtain higher education. We all know that it’s becoming very difficult to become successful without education,” she said. Bello said although she was born here in the U.S., she was not eligible for state financial aid. “My parents were not able to prove our residency here. That was a little bit weird because I’ve lived here my whole life,” she said. Unlike Bello, he does not have the papers nor was he eligible for the Deferred Action for Childhood Arrivals or DACA. 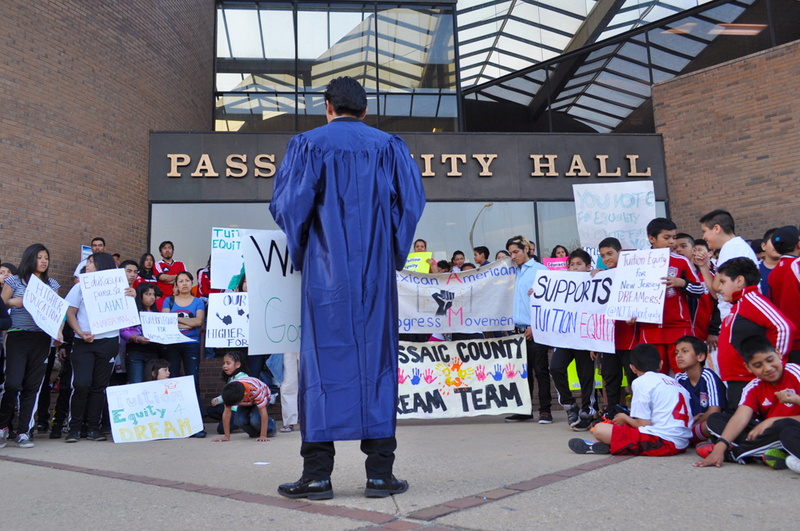 “I missed the DACA cut off by five months,” said Galvez, who is the vice president of the Mexican American Progress Movement and team coordinator for Passaic County DREAM Act Coalition. More than 75 percent of Passaic City residents are immigrants, according to the 2010 U.S. Census. 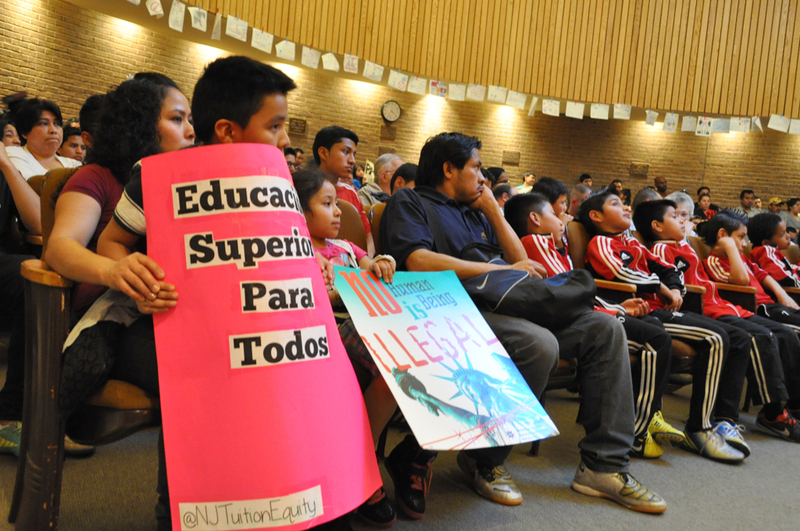 The Pew Hispanic Center said New Jersey has the fifth highest population of undocumented immigrants.